Home » Gist » Fact check: How true is the claim that Buhari is dead and replaced with a lookalike? Fact check: How true is the claim that Buhari is dead and replaced with a lookalike? About a year ago, a story broke on the clandestine medium, Radio Biafra, that President Muhammadu Buhari is dead. The story was propagated by the leader of the Indigenous People of Biafra (IPOB), Nnamdi Kanu. Kanu claimed that there is an imposter, instead of President Buhari, in Aso Rock, and threatened to expose how a certain Jibril Aminu was transformed to replace ‘dead Buhari’ in London. He alleged that Jibril resembles Buhari except for a cleft ear, broad nose bridge and teenager fresh hands. Weird as the story is, several Nigerians, including high-profile figures, have bought in Kanu’s claim that President Buhari has died and been replaced by a lookalike from Sudan. The Nigerian social media space is awash with posts and videos with claims the man occupying the seat of power at the Aso Villa is not President Buhari but an imposter called “Jubril”. How Kanu came about the story of ‘Jibril’ President Buhari, since he became president, has made several trips to the United Kingdom. The presidency initially said he had a “persistent ear infection”. But his prolonged absence during one of the medical trips, coupled with lack of information about the exact nature of his illness led to speculations that his condition was more serious and might affect his ability to govern the most populous country in Africa. About a month after the president eventually returned from London from another lengthy medical trip, speculations started filtering out about his identity. According to AFP, the earliest online mention of the claim was in a video posted by Twitter user @sam_ezeh on September 3, 2017. The video has since been shared more than 5,000 times on Facebook and Twitter. In the video, Kanu, speaks to his supporters and says Buhari had actually died. 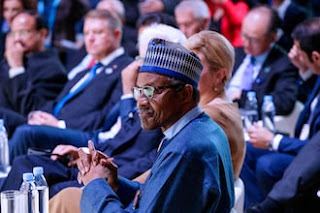 “The man you are looking at in the television is not Buhari… His name is Jubril, he’s from Sudan. After extensive surgery they brought him back,” he says. In separate broadcasts on the outlawed pirate radio station Radio Biafra, Kanu has called Buhari “Jubril Al-Sudani”. Another incident that reportedly fuelled the claim was the death of a Nigerian diplomat, Habibu Almu. Almu was found dead in the Sudanese capital, Khartoum. Nigeria’s foreign ministry said on May 14 that Almu had been “stabbed to death” and that a Sudanese woman of Nigerian origin had been arrested. Sudanese police said the killing did not appear to be politically motivated but Kanu and others have claimed the death was linked to an apparent cover-up of Buhari’s death. 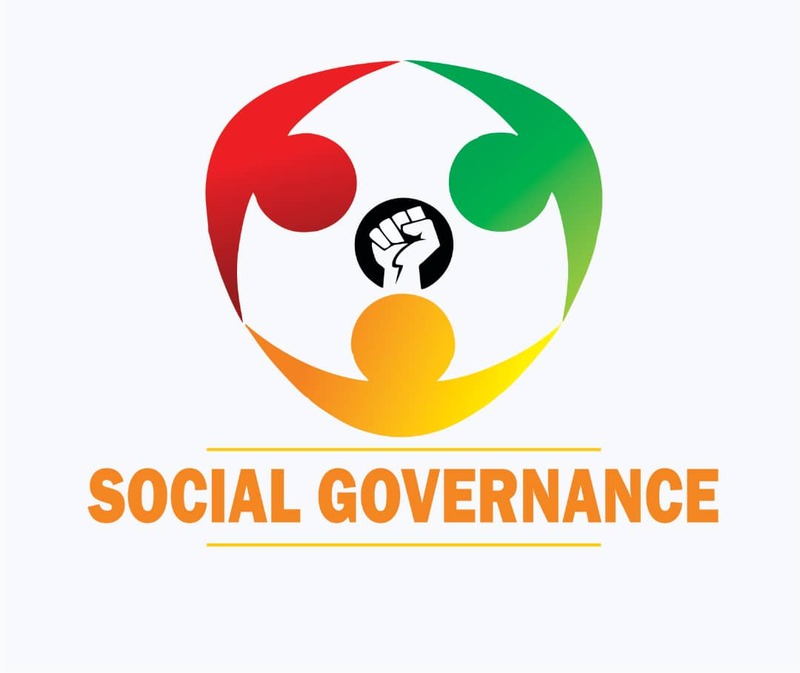 Subsequently, President Buhari’s appearance has come under scrutiny in many posts. One post compares the president apparently writing with his right hand in one photograph and his left in another. But analysis indicates the image of the right-handed Buhari had been reversed, AFP confirms. The global media reports that one video even speculates on how a dead Buhari could have been operated on to transfer his appearance to “Jubril from Sudan”, showing a scene from the 1997 film “Face/Off”. Reactions from prominent Nigerians Femi Fani-Kayode On April 5, 2018, Femi Fani-Kayode, a former government special advisor and minister under ex-President Olusegun Obasanjo, backed Kanu’s claim, coming up with several alleged reasons for his position on Twitter. He reportedly claimed in the tweet that a satanic ritual performed on Buhari’s dead body had resurrected him through the spirit of “Jubril from Sudan”. Reno Omokri Reno Omokri, a former aide to former president Goodluck Jonathan, also questioned Buhari’s identity. On September 29,2017, he posted three pictures of Buhari on Twitter and speculated on the differences in the images. Former president Olusegun Obasanjo At the installation of the Peoples Democratic Party (PDP)’s presidential aspirant, Atiku Abubakar, as Turakin Adamawa, former president Obasanjo added his voice to the claim, asking President Buhari to publicly address the allegations. His words: “No matter how long we choose to feign ignorance, the news of a stranger running the affairs of Nigeria has gained international attention. “I have in the past few weeks received calls from different world leaders and some concerned global investors who sought for my response over this issue which is currently being talked about in almost every home in the country. “Fake news is real, but this story, whether false or true can only be put to rest by the accused who happens to be President Muhammadu Buhari. In 2010, many of you, I believe, still remember how it was rumoured that I was shot dead by assassins. The news understandably went viral immediately, and on learning about it, I came out and said I was alive and well.” Shehu Sanni Weighing in on the story, Senator Shehu Sani, representing Kaduna Central reacting on his Twitter page, discarded the claim, saying Buhari has no ‘double’. The Kaduna lawmaker urged Nigerians to see ‘Jibrin’ as an imaginative character. His tweet: “There’s no one and nothing like Jibril El Sudan. Buhari ‘Caesar’ is healthy and has no double. But you can literally refer to Jibrin as an imaginative and mythical character in Shakespearean Nigeria. It is natural to creatively invent characters and promote conjectures in our theatre of the absurd.” As the ‘Buhari-Jubril imposter’ claim refuses to die down, the federal government, through the minister of communication, Alhaji Lai Mohammed, reacted on Thursday, November 29. His words: “It is idiotic to say the President is cloned. I don’t see any serious government responding to that. “So, the same Jibrin that was cloned from Sudan or Chad is in Chad now? Isn’t that stupid? “They even said he is from Chad. Yet, the same President is in Chad as we speak.